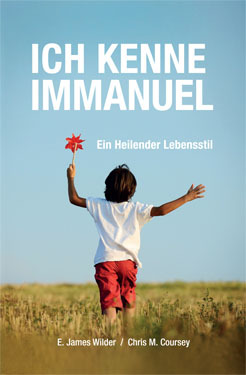 Ich Kenne Immanuel: Ein Heilender Lebensstill is the (56 page) German translation of the 21 page full color booklet is the simple and attractive way to share Immanuel healing with others. You learn the best way to prepare, interact with God for healing and then retrain how your mind thinks. Most prayer ministry training teaches only the interaction with God and little if any about the best ways to prepare. As far as we know, Share Immanuel is the only guide that includes how to retrain your mind to apply the healing to your life. And yet, Share Immanuel is simple and as enjoyable as giving hospitality to your friends. This book includes a guide to sources, resources and problem solving. You do not need to be a leader or counselor to Share Immanuel with the people you like and love just share what has changed your life! To order with other Life Model Works materials (zencart) use the Life Model Works link at the top of the page.